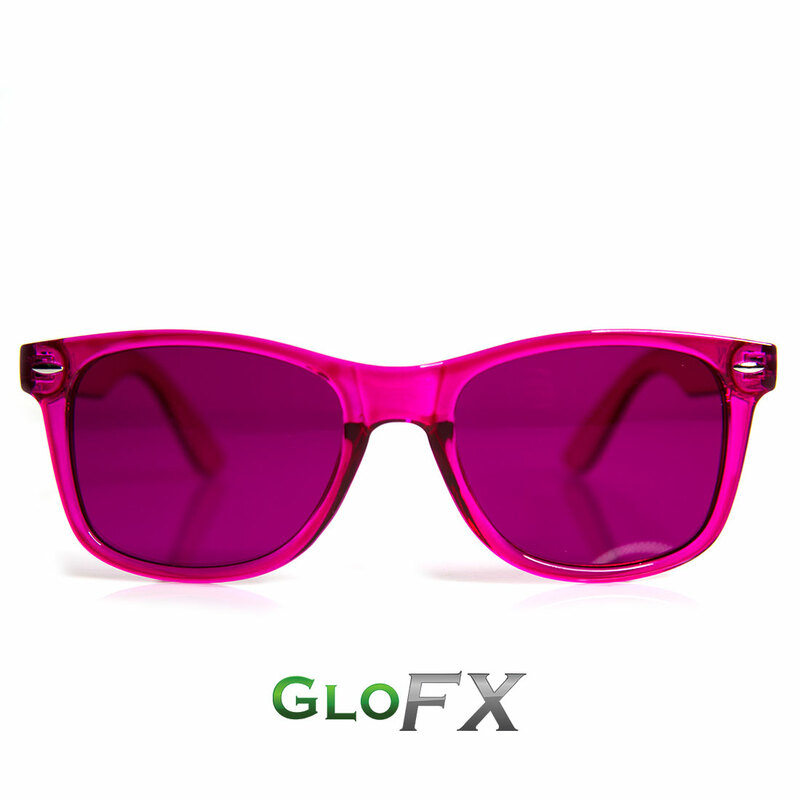 GloFX Magenta Color Therapy Glasses with UV400 Protection, Provides UVA and UVB Protection. Magenta Tinted Lenses With Color-Matching Frames. Chromotherapy, commonly known as Color Therapy is the use of colors and colored light to assist in the healing of the body. Having been around for nearly 1000 years, it is believed that our bodies ‘feed’ on certain colors of light within the visible spectrum of natural light. 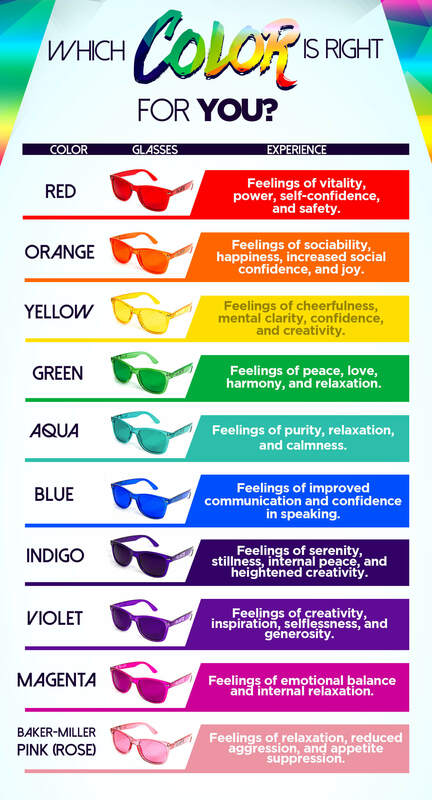 Through the use of our Color Therapy Glasses 10-30 minutes each day, it is possible to change the natural vibrations to elicit a positive effect on your emotions, and assist with regulation. Magenta is a color that has been long associated with balancing of emotion and the 6th Chakra. The benefits associated with magenta color therapy include relaxation and balancing emotions. If you find yourself sometimes struggling to emotionally express yourself, then these Glasses are the perfect choice for you.